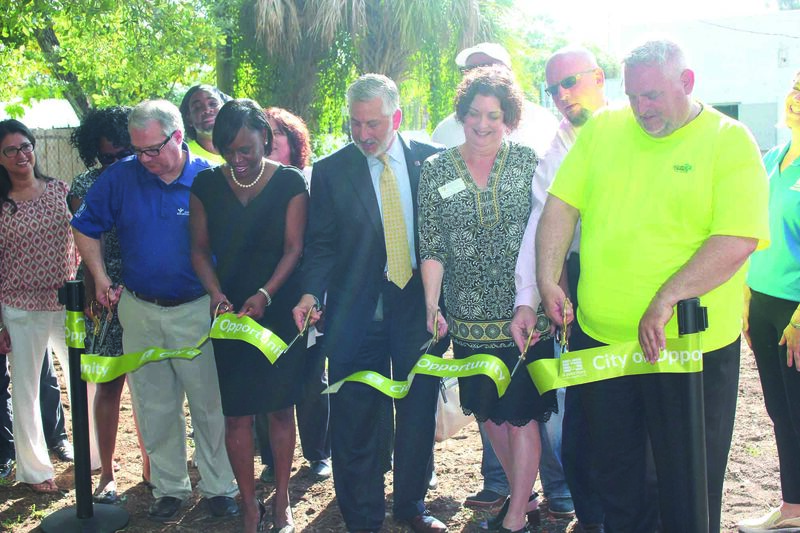 A ribbon-cutting ceremony for the city’s first tiny home took place June 28 at 1526 Prescott St. S.
ST. PETERSBURG – The Tiny home movement has made its way to St. Pete, and the Pinellas Ex-Offender Re-entry Coalition (PERC) is at the forefront of the crusade. On June 28, a groundbreaking ceremony was held for the city’s first tiny home on Prescott Street South. 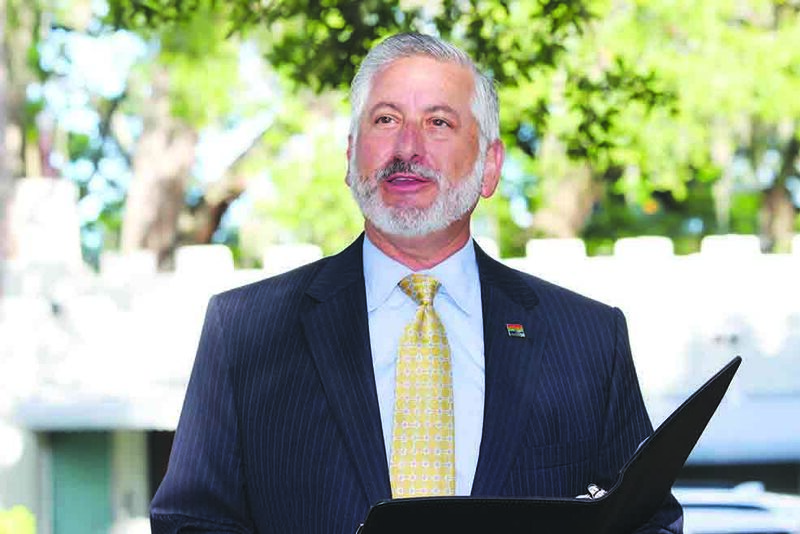 Mayor Kriseman touted the city’s innovative spirit in meeting the needs of its residents. PERC’s mission is to help offenders become and remain ex-offenders by reuniting families through advocacy, comprehensive service delivery and referral and education. 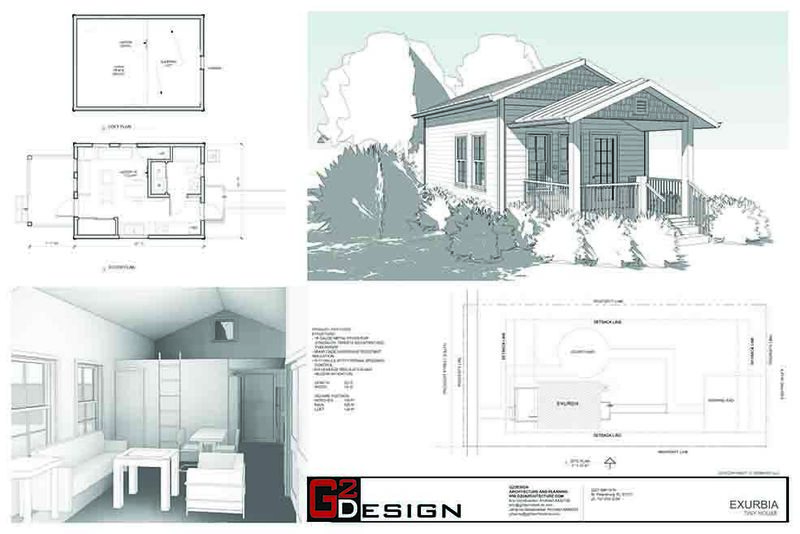 One such program is the Second Chance Tiny House program where ex-offenders will build 25 tiny homes for homeless veterans in St. Pete and 30 affordable homes in the Lealman area. The program provides students with the knowledge and skills needed to obtain a successful career in the building construction industry. It also provides second chance opportunities for participants with criminal records or without a high school diploma or GED. Students receive carpentry and OSHA certification at Pinellas Technical College and are paid part-time for hands-on training in the construction trades. The first class of this program has already seen 13 people placed in jobs, with multiple contractors offering graduates jobs on the spot. Jacquis Monroe finished the program and is now a mentor and instructor for the new class. 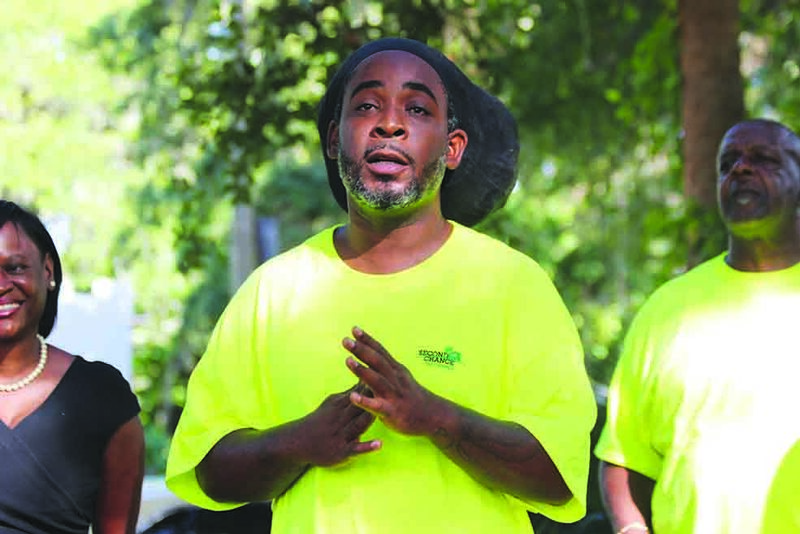 In 2013 as he sat in jail, he was determined to turn his life around. He made goals and promised himself that before he turned 40, he would be a productive citizen. 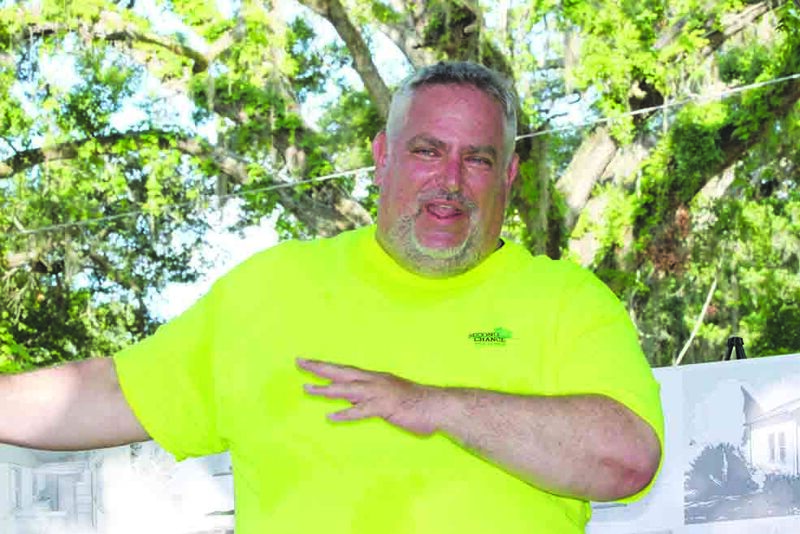 “I worked my behind off to learn everything that I really wanted to accomplish,” Monroe said, noting that he earned his carpentry license, OSHA certificate and other certifications that allowed him to be employable within four months. From the age of 18 until 33, he was incarcerated at least once a year. Turning 38 on June 26, he is now employed full time with PERC helping others who need a second chance to meet their goals. Students in the comprehensive four-month-long program spend Monday through Thursday from 7:45-11:15 a.m. at a construction job site getting hands-on training. Then from 12:15-5 p.m., students report to Pinellas Technical College to not only receive hands-on training but also classroom time. They learn to read blueprints, how to handle tools and proper safety techniques. On Fridays, students are back at the job site earning money. No prior construction training is required to enter the program. All you need is dedication. And if you are the type of person that gets bored quickly, Monroe said this program is for you. “One day you might be laying tile. The next day you might be doing drywall. The next day you might paint. The next day you might be hooking up a sink,” he said, adding that he’s a fast learner. Monroe came into the program thinking that after graduation he would get into the house flipping business. Although he’s an instructor with PERC, he still hasn’t abandoned the idea for the future. 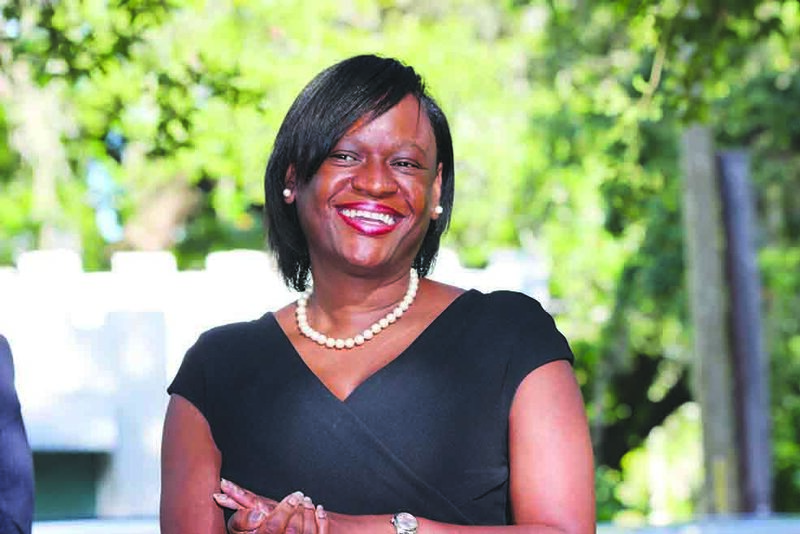 Deputy Mayor Dr. Kanika Tomalin said it’s important to congratulate ourselves for being a city that not only has a vision but has the courage and commitment to live it. Michael Jalazo, CEO and executive director of PERC, put the whole morning into perspective when he stated that Pinellas County is the third most densely populated county in the nation, and the most densely populated county Florida. “We don’t have more places we can build; we have to think outside the box,” he said, revealing that PERC also plans to build and sell tiny houses to individuals and families. And as for Monroe, the Second Chance Tiny House program serves not only as a second chance for him but for his community. “I did wrong my whole life…I lived wrong. I was in and out. I helped kinda ruin my community. Now, this is like my chance to give back to the community,” he finished. 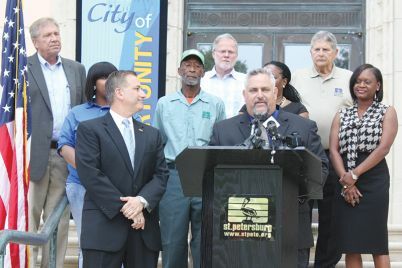 The Second Chance Tiny House program is made possible by the collaboration of PERC and the City of St. Petersburg to improve commercial, business and economic development through the newly formed St. Petersburg Works Program, designed to join resources of several community organizations to work with employers and local government agencies to connect hire and employ. 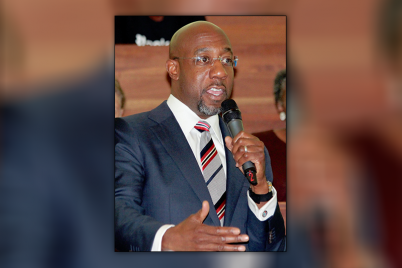 The program will concentrate within the South St. Petersburg Community Redevelopment Area. 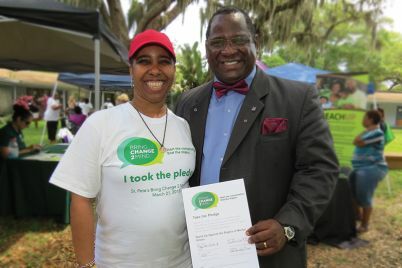 As a result of receiving support from the Community Foundation of Tampa Bay, Bon Secours Health Systems and a private family foundation, the Second Chance Tiny House Manufacturing Company was established providing a valuable collaboration of employment for those returning home from incarceration to build homes for some of St. Pete’s distressed populations.